Please welcome to the blog the awe-inspiring Katia Raina, who is here to talk about her young adult novel! Take it away, Katia! I find myself at a thrilling turn of my life’s journey. 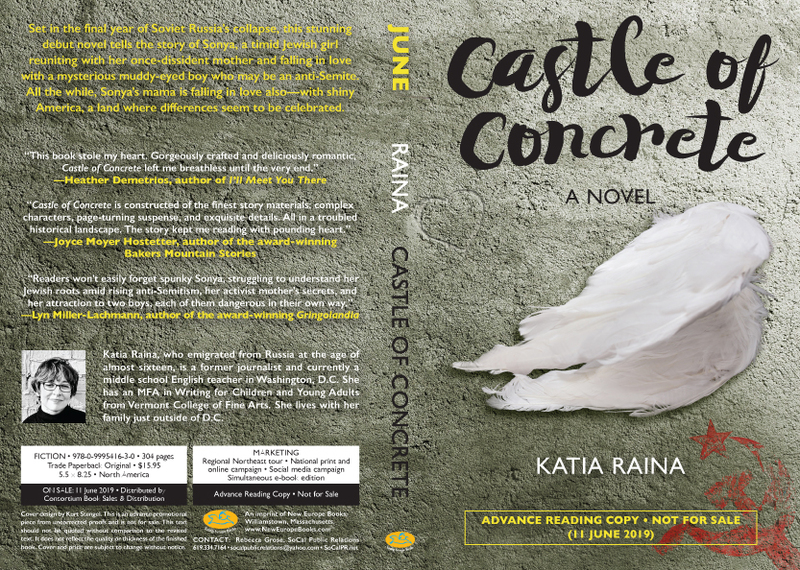 Today, I am the debut author of Castle of Concrete, a young adult romance set in 1990s Russia, coming this June from Young Europe Books. 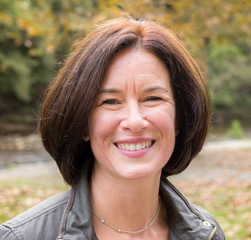 Once a relentless journalist, now a goofy middle school English teacher, always a stubborn early morning writer, I am excited to share a bit of my story with you here on L. Marie’s blog. My story starts across the ocean in a small Ukrainian city, then Siberia, then Moscow, Russia. On the outside, I was a quiet Russian girl (photo at left), a shy one, an odd one. On the inside, I was Jewish, and proud, even though I knew early on it was not a thing to advertise. 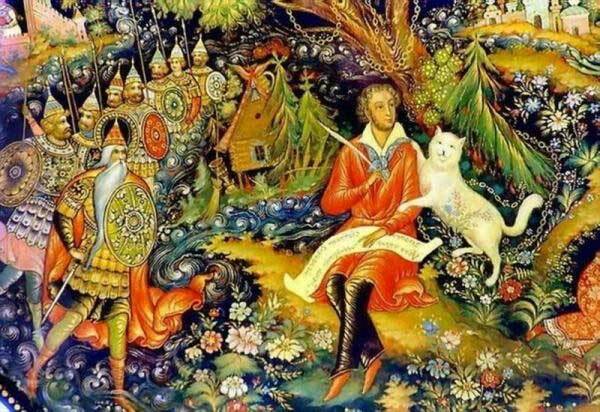 I didn’t have many friends, so I surrounded myself with dream worlds of romance, science fiction and fairy tales. No matter the genre, it was easy to identify with outcasts and outsiders. I wondered what separated some people from others. I wondered why people did that—allowed some to belong, while pushing others away. My story starts with lots of loneliness—lots of quiet, lots of missing of my dear mama, who was struggling to put her life together far away from me—as my grandmother did her best to raise me. Looking back, I recognize the quiet wasn’t always filled with loneliness. The quiet in which I grew up gave me the chance to look closely at the world and take note. It gave me lots and lots of space in which to dream and to wonder. Though I didn’t know it then, it seems so obvious now—it was this quiet that formed the writer I would become. 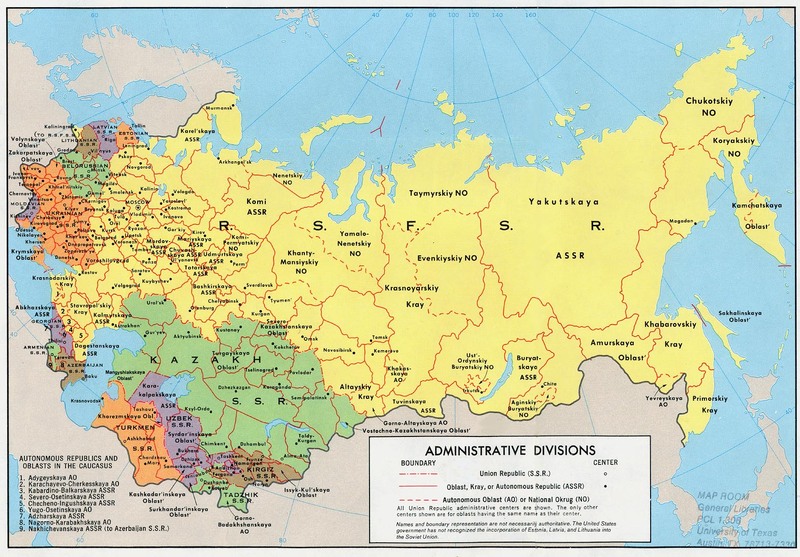 While I was growing up, my country, then called the Soviet Union, was crumbling under the Communist rule. Lots of resentment building, ready to burst out. Because my grandfather had left the country for the shiny America, we were considered to be in many ways a “traitor’s family.” This made things even harder for my mother, an aspiring journalist trying to get into a good university or land a solid job. Being Jewish didn’t help either. I emigrated to the United States with my family just before I turned 16. That was when I knew I found my home at last, in this land of diversity and variety. As I grew up, became a journalist and started a family of my own, the memories and questions of childhood and adolescence rose back to the surface, and I began writing a romance novel about a shy Jewish girl in the last year of the collapsing Soviet Union, reuniting with her long-absent dissident mother and falling in love with a boy who may be an anti-Semite. I didn’t set out to write historical fiction. I didn’t necessarily make a conscious decision to become an author for young adults, either. I just wrote the story that had been bursting to come out. Even so, it took me 15 years to get this story just right. Now I am overjoyed to share it with the world. Many ask if Sonya Solovay, the protagonist of Castle of Concrete, is based on me, and if the story I wrote is based on real events of my childhood. It’s a surprisingly hard question to answer. While this story came onto the page straight from my soul, and while Sonya and I definitely have a lot in common, this story is fiction—bits of memory and reality intertwined so tightly with fancy and imagination, that at this point for me, it’s kind of impossible to tell the two apart. One thing about this story that is very real though, is my struggle as a teen to find my strength and my voice, and to learn to embrace all parts of me, including ones I understood so little about, such as my Jewish roots. This is why I wrote Castle of Concrete, and this is what I hope readers take away from it. The inspiration to learn about the heritage and history that make them who they are. The courage to make their journey their own. 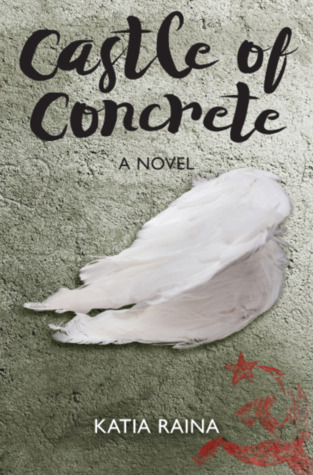 Castle of Concrete Synopsis: Set in the final year of Soviet Russia’s collapse, this stunning debut novel tells the story of Sonya, a timid Jewish girl reuniting with her once-dissident mother and falling in love with a mysterious muddy-eyed boy who may be an anti-Semite. All the while, Sonya’s mama is falling in love also⎯with shiny America, a land where differences seem to be celebrated. The place sounds amazing, but so far away. Will Sonya ever find her way there? When she was a child, Katia Raina played at construction sites and believed in magic mirrors. She emigrated from Russia at the age of almost sixteen. 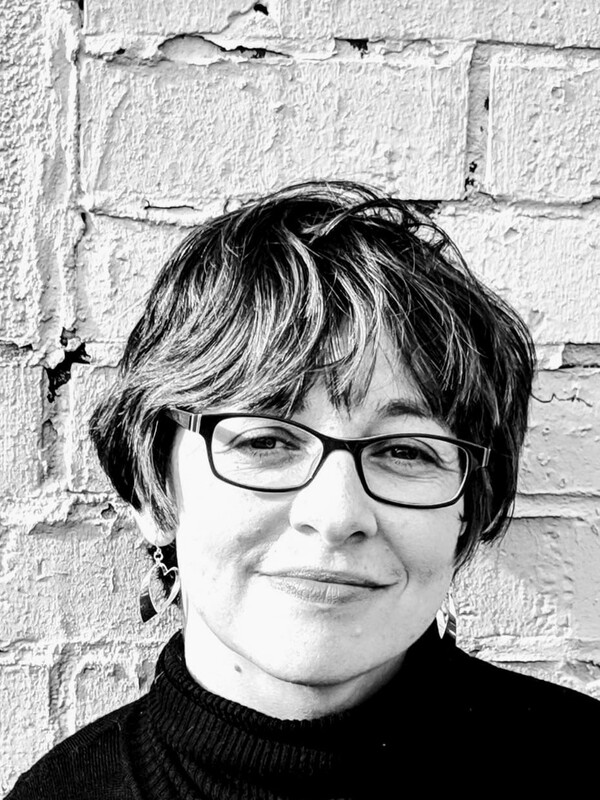 A former journalist and currently a middle school English teacher in Washington, D.C., she has an MFA in Writing for Children and Young Adults from Vermont College of Fine Arts. She lives with her family just outside of D.C., and still believes in magic. L. Marie here. I’ll be giving away a preorder of Castle of Concrete. Comment below to be entered in the drawing. Winner to be announced on February 25. Looking for Katia? You can find her on Facebook, Twitter, her blog (The Magic Mirror), and Goodreads. 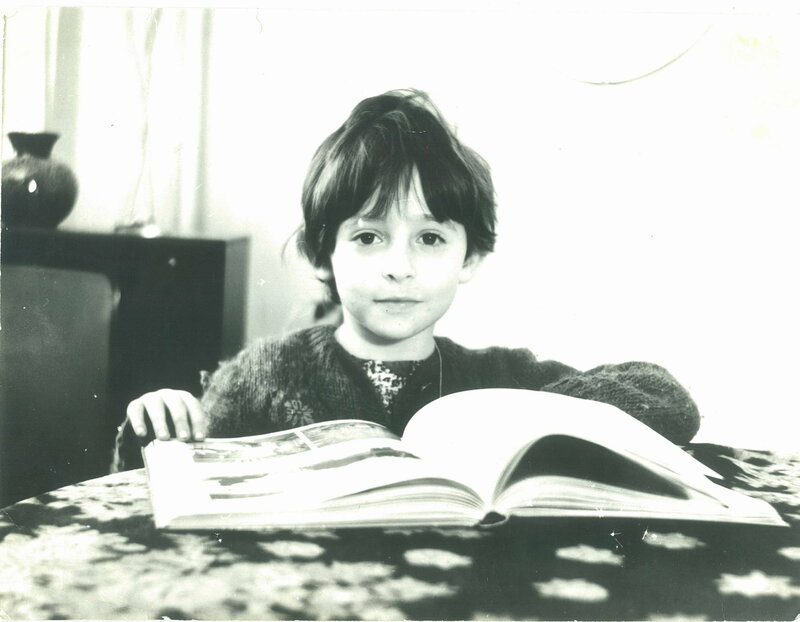 Author, childhood photo, and book cover courtesy of Katia Raina. 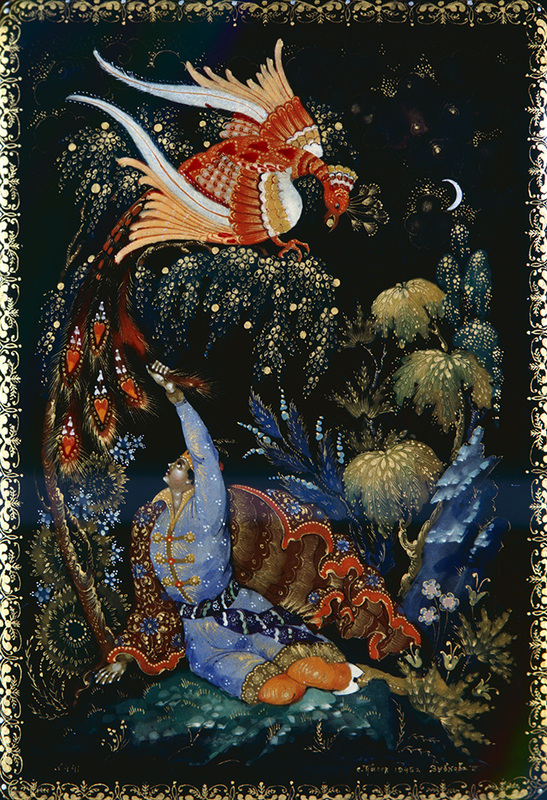 Map from maps.nationmaster.com. . Russian fairy tale images, including the Palekh miniature, are from rbth.com and russian-crafts.com. With me on the blog today is my good friend, the awesome Laura Sibson, who is here for the cover release of her contemporary young adult novel, The Art of Breaking Things, which will be published by Viking. First, loooooooooook! Take it in! Breathe in the beauty! 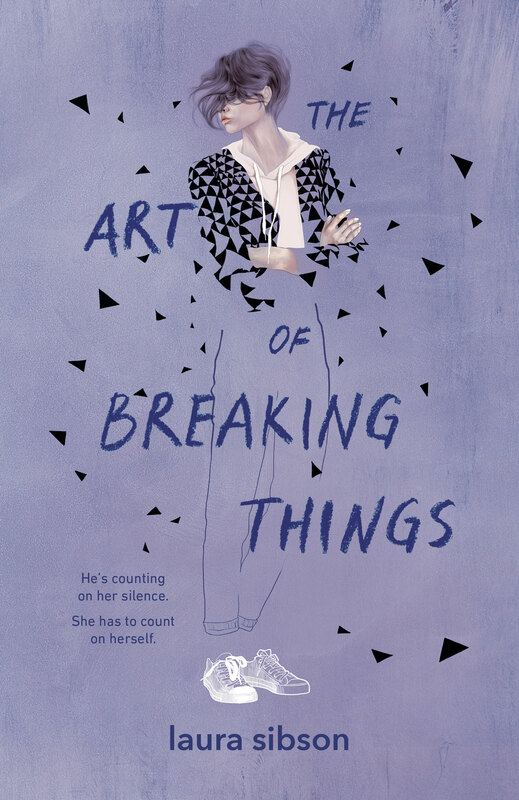 In the tradition of Laurie Halse Anderson and Sara Zarr, The Art of Breaking Things embraces the power of a single voice. Skye has her sights set on partying her way through high school and then escaping to art school and not looking back. But her party-first-ask-questions-later lifestyle starts to crumble when her mom rekindles her romance with the man who betrayed Skye’s trust and boundaries when he was supposed to be protecting her. She was too young to understand what was happening at the time, but now she doesn’t know whether to run as far away from him as possible or give up her dreams to save her little sister. The only problem is that no one knows what he did to her. How can she reveal the secret she’s guarded for so long? With the help of her best friend and the only boy she’s ever trusted, Skye might just find the courage she needs to let her art speak for her when she’s out of words. Now, let’s talk to Laura! El Space: For quick facts about yourself? Laura: (1) I was raised in Maryland but moved to Pennsylvania for college and have lived in the Philadelphia area for most of my adult life. I love the Northeast, but I also love to travel. This past summer, my family took a trip to England and Scotland and we kayaked on Loch Ness! No sightings of Nessie, I’m sorry to say. (2) I love being in nature. In fact, I have trouble settling down to write if I haven’t first gone for a run or taken my dog for a walk in the woods. (3) I had a whole career in higher education before I started writing. I didn’t start writing until I was in my early 40s! (4) I live in a 130-year-old stone Victorian house in an area of Philadelphia that reminds me of Hogsmeade. In fact, we had a popular and super-fun Harry Potter festival here until Warner Bros. sent a cease and desist letter. There is still a festival, but it’s not the same. El Space: What was your path to publication? Laura: Well, how long you got? In all seriousness, I think my path to publication is long, but aspiring novelists may want to know that my path isn’t all that unusual. As I said above, I didn’t start writing a novel until my early 40s. I had always been an avid reader and I’d wanted to write a novel, but it took a while until I finally found the courage to start. After completing my first manuscript about two sisters who learn that they are witches and not obtaining an agent, I realized that I had a lot to learn about writing well. I attended VCFA’s program in Writing for Children and Young Adults—where I met you!—and while there completed a second novel about a girl whose mom dies and then she fights her uncle to remain in her house. I didn’t obtain an agent for that one either, but I got closer! I also got discouraged. I started writing a book just for me and my writer friends like you suggested I keep at it. Fast forward and it took almost fifty queries to land the agent who offered me representation. Brianne Johnson of Writers’ House was a great champion of my story and sold it in a few months. The book, The Art of Breaking Things, comes out on June 18! All and all, it took about ten years from when I first started writing to when I’ll have a book published. El Space: Who is the cover designer? The artist? Laura: The cover designer is Dana Li and the illustrator is Agata Wierzbicka. 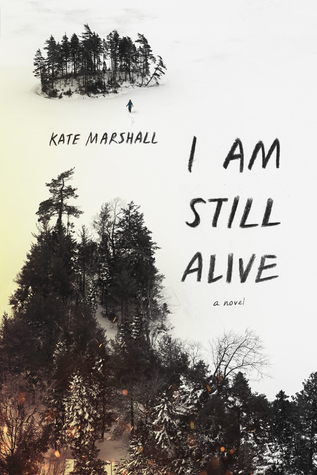 Dana also designed the cover for I Am Still Alive by Kate Marshall, which has just been optioned for a movie deal! Fun fact: I Am Still Alive was edited by my editor, Maggie Rosenthal! 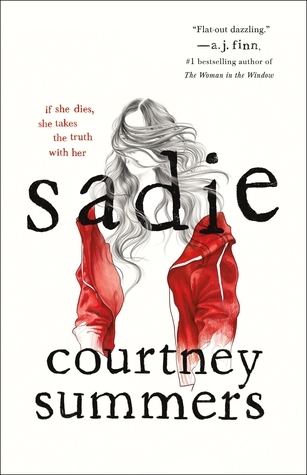 And Agata illustrated the striking cover of Courtney Summer’s latest novel, Sadie. I love how the design team worked together to create a look that is original and so inviting! El Space: What elements make this a great cover for your novel? Laura: In the novel, Skye has difficulty speaking the truth of what has happened to her. She comes off as self-reliant and fun-loving, but she’s also deeply wounded. Agata’s illustration beautifully captures that dynamic. The triangles flying off of Skye’s jacket show the reader the idea of things breaking, especially Skye herself and also hint at Skye’s artistic background. The title, along with the charcoal smudges on the cover, further cement that artistic sensibility—and the purple background color is just swoony. The Art of Breaking Things will debut on June 18, 2019! Check out the cover release at PenguinTeen.com. Look for Laura at her website. Author photo courtesy of Laura Sibson. Photo attribution: Rachael Balascak. Other covers from Goodreads.